The 8th of March is the International Women’s Day (IWD) and before and after it gives rise to a lot of talk about women’s rights. Surprise surprise, it is actually a day having a deeper significance than giving mimosa flowers to the women around you and taking them out for dinner. It is a day to focus on how women can reach equality and balance in the still male-dominated society. The first IWD was organized in New York in 1909 by the Socialist Party of America and as a result, it was discussed the IWD ought to be a yearly occurrence. When Soviet Russia introduced universal suffrage on 8 March in 1917, that date became a national holiday in Russia. It was only in 1975 that the United Nations officially made it the International Women’s Day globally. In the EU, 37% of the workforce in the agri-food sector are women, about 20% of the agri-food companies are led by women but they earn 6% less than the men in equivalent positions. In Italy, the percentage of farming businesses, or wineries specifically, led by women are more or less the same. However, if we look at the role of women in leading political and policy-making positions in consortiums and other institutional bodies, the percentage falls to under 10%. (See Preparate e appassionate: donne e vigne sono un’abbinata vincente in Il Sole24Ore) Where the decisions are made, men are still the leading force. 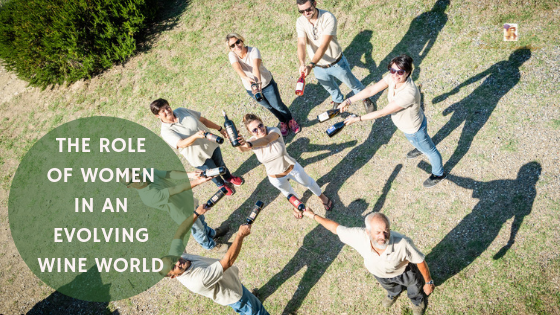 There are organizations such as Women in Wine, Wonder Women in Wine, Women of the Vine & Spirits working for women to have a voice in the wine world. The organizations mentioned here and the conferences and symposiums they organize are not only concentrated to the US but also on a global scale such as the Women of the Vine & Spirits symposium. In the recent Forbes article Women Are No Longer Voices In the Wilderness Of Wine: How To Listen In, Cathy Huyghe stresses that, in her opinion, we are right now witnessing a shift in the wine industry. In the past, women took “one step forward” and the reaction came with “two steps back” while now there are many small steps being taken together making an impact. If we now look more closely at Italy, things are starting to slowly change here too. The association Le Donne del Vino was founded in 1988 by a small group of women that wanted to work in favour of the role of women in the Italian wine world. Today, there are 800 members and the association is working well to support women and collaboration. The current national president is Donatella Cinelli Colombini who is a sort of force to be reckoned with in the Italian wine world when it comes to striving for women’s equality in the wine sector. Her staff at her wineries Il Casato Prime Donne in Montalcino and Fattoria del Colle in Val d’Orcia, both in Tuscany, consists of only women. Donatella says that when she took over her family estates and started her wineries in the late 1990s, she tried to find a cellar manager but there were no male oenologists available on the job market. What she did find out was that there were a lot of women oenologists who could not find a job because no established winery would hire them. Therefore, she decided to employ women and start to work against inequality and in favour of gender diversity. Other forceful women in the Italian wine world are, for example, Maria Teresa Basile Varvaglione of the Varvaglione 1921 winery in Puglia. Varvaglione is a winery that in the last years has seen remarkable growth and was mentioned by Milano Finanza in 2018 as one of the 50 best small and medium-sized enterprises in Puglia. Maria Teresa is also a member of Le Donne del Vino and currently the president of Movimento Turismo del Vino Puglia working to get Puglia wine on the Italian map as well as on the world map. At Fattoria di Montemaggio, the women play a very important part in the management of the winery. The owner, Valeria Zavadnikova, is a woman in her early thirties with an innovative vision and dynamic leadership. 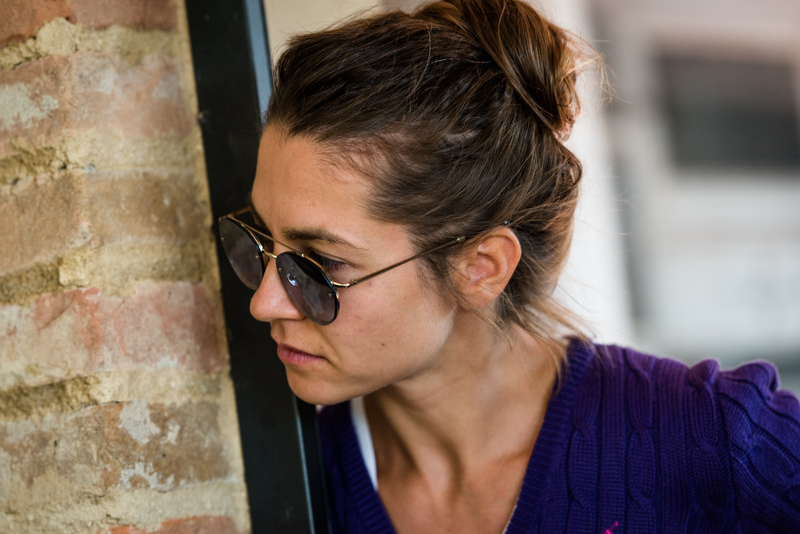 The agronomist and estate manager, Ilaria Anichini, is also a woman and she is in charge of the winemaking at Fattoria di Montemaggio. Two women in wine who works to make their imprint in the wine business. 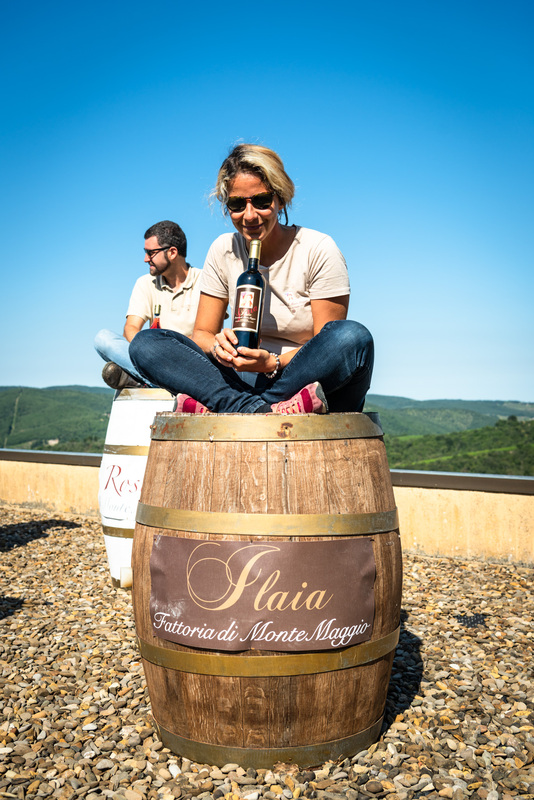 The staff, in general, is also female dominated at Fattoria di Montemaggio with Susanna Baldanzi working with the administration in the office, Hasiba Redzic taking care of gardening, cooking, and welcoming at the wine tours. The two persons managing content writing and social media are also women. There are men though, in form of the cellar manager Edoardo Luvisi, then Saijd Redzic working with the olive oil production and gardening at the estate, Luciano Biagianti working in the vineyards, the farm worker Maraski Sokol, and Francesco Garuglioeri helping to manage the wine tours. Even the logo of the winery is female, i.e. an Etruscan woman with a basket filled with grapes on her head. The logo was created by Marina Zimoglyad after inspiration from a painting by her husband and artist Andrey Remnev. In an article in 2018, Live Like a Winemaker: 5 Lessons in Authenticity, Jill Barth interviewed women winemakers about their view on authenticity and how to stay true to themselves in an ever-evolving wine world. The article was not talking about gender and equality specifically, however, it did focus on women managing wineries. Valeria talked about how she believes positivity is important and to realize that you cannot control everything, to learn to let it go and do better next time. Above all she stressed her belief that it is important to put the people in the centre, they are what really matters and what moves things forward. What is important for women moving forward in the wine world will most certainly be to stay true to themselves, be authentic, and learn to let go of the things that lie outside their control. To learn more about the wines of Fattoria di Montemaggio, click here.